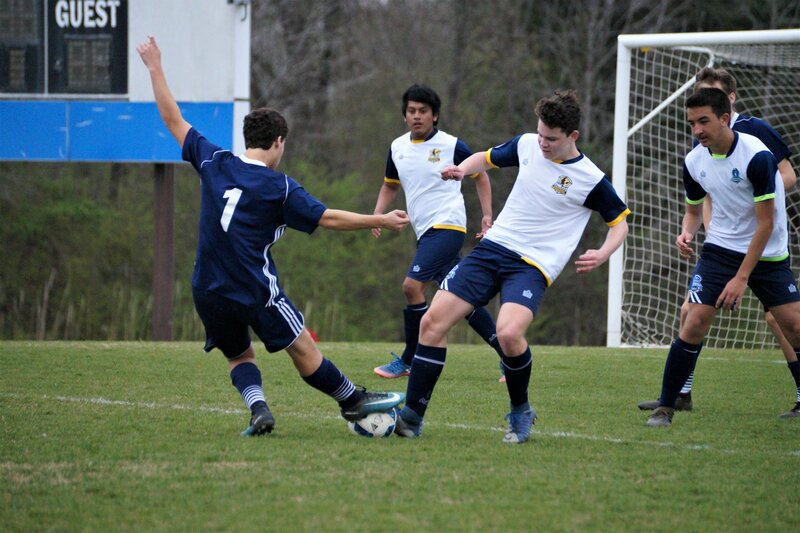 The end of march saw the Demize Academy and Lady Demize sending five teams to compete in the John Talley College Showcase in Memphis Tennessee at the Mike Rose soccer complex. 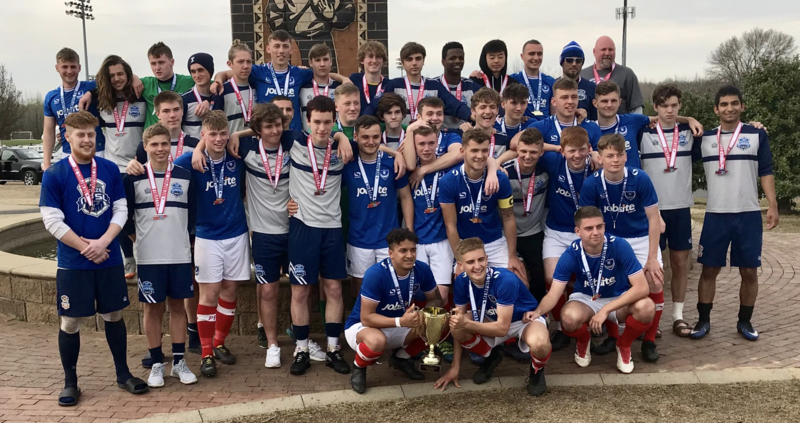 The event hosted teams from all over the south and midwest with international competition from both the Portsmouth Academy in England and Soccer Scholar Ide Nua from Ireland. The 08 boys made history being the youngest Demize team to ever go to Memphis. They showcased why, keeping the ten month undefeated record alive when playing in thier own under 10 age group. The 08 boys scored 15 goals while conceding only 4 in the top U10 Mexico division. Thier first match set the tone for the event with a 6-0 win vs SCSA Falcons. Tthe 08's second match vs SEMO Swarm united was tied at halftime and it took 2 late goals for the Demize to pull out the victory. In Sundays first game the two top teams in the division faced off and ended in a 2-2 tie the Jonesboro Revolution from Arkansas was able to hold off the high powered offense of the Springfield Demize. 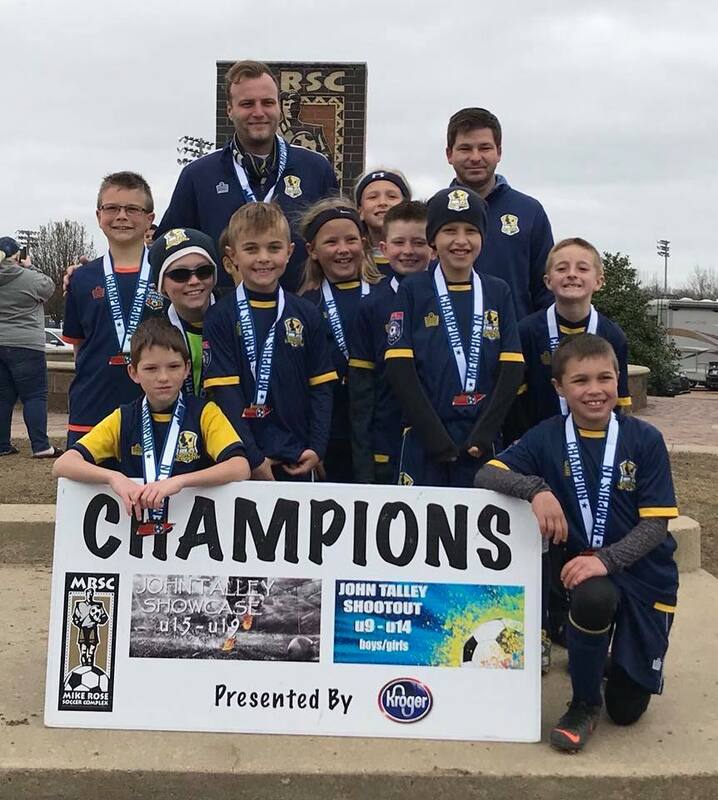 In final match against the Germantown Legends the 08's needed a victory and three goals to secure the divisions top honors and with thier 4-1 victory the team claimed the championship. The 03 boys also played in a round robin formate and went undefeated scoring 11 goals and only conceding 1 in their three games. The first match vs FC Dallas Central Arkansas saw the Demize scoring early in the match dominating the first half 3-0, the final score ending 4-0. In the toughest match of the weekend the Demize 03's pulled off the late 1-0 victory off a corner kick late in the second half the cross from Riely Lister to Bryce Richmond's header into the top corner. The last match was an offensive explosion with the game never in question as the Demize cruised to a 6-1 victory. Goalkeeper Drake Lightfoot and the Demize backline defender did not concede a goal until a corner kick in the final minute of the game vs NMSA. The Demize Academy 02 boys defeated the NMSA U17 boys 2-0 in there first match and had a scoreless draw vs Northwest IFC 02's in the second game of the group play. This earned the 02's a spot in the semi finals vs the Chicago Fire Juniors. In a game that could of gone either way the Demize 02's eventually fell short of the championship game when they conceded an own goal during the second half. A combo team of the Lady Demize 05's and 06's saw them faced off against the Lady Lobos Rush, the number 1 ranked team in Tennessee. In the LDA's first outdoor match of the spring season the Lady Lobo's where to much to handle and fell 4-0. In there next match the Lady Demize would face the eventual tournament champions, Mississippi Rush 05 premier. Losing the match 5-0. 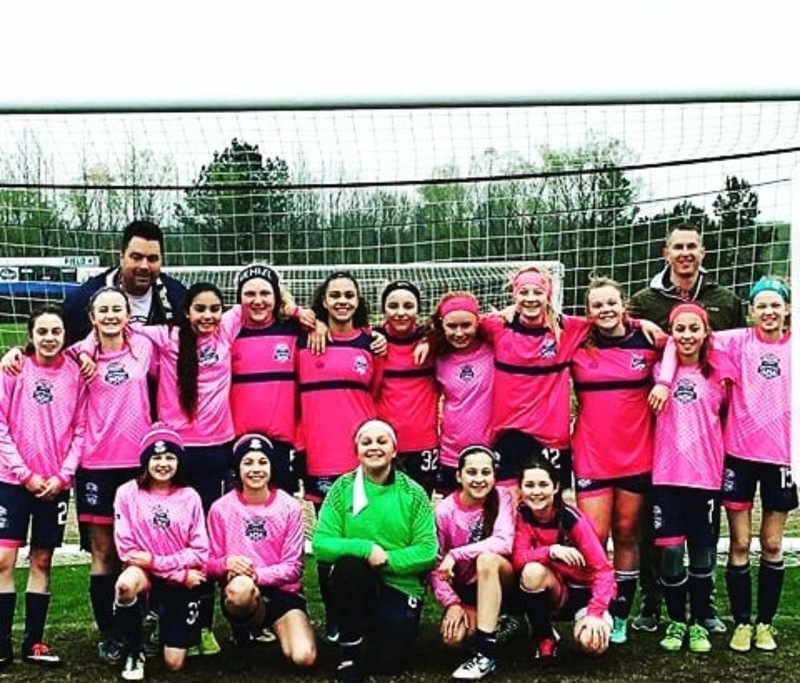 The final game saw the girls playing United Heat and with a 3-0 victory where able to rebound from Saturdays tough competition ending the tournament on a high note. The Demize Academy 99/00 boys had a roller coaster ride starting with a loss against Portsmouth FC in their first game. The game seemed to start off on the wrong foot as the Demize conceded a questionable pk called in the 6th minute and after the goal Portsmouth would dominate the match with the Demize showing occasional flashes of the success that would follow in later games during the tournament. The second game saw the Demize stacked up against Mississippi Rush needing a victory to advance to the quarter finals. A late goal by Duncan Livingston cemented the 2-1 victory earning the Demize a spot in the quarter finals to play Soccer scholar Ide Nua from Ireland at the stadium field 730 am kickoff. As the sun was still coming up the game kicked off in one of the most exciting games of the tournament the Demize would shock the visiting Irish scoring two goals to take the lead in the first half both goals came from Jarret Meyers with the first off a laser half volley on from the corner of the box beating the Irish keeper in the opposite upper corner. The second would come off a rebound from a free kick from Hunter Gilliams as Jarret again was able to score the rebound after a save from the Irish keeper. The tide seemed to turn 90 seconds before halftime as right back Johnathon Dixon played a back pass to his keeper only to have it picked off and Ide Nua forward who was able to score the breakaway just second before halftime. The second half started with the Irish team applying tremendous pressure that the Demize back line and keeper where able to hold off until ten minutes left in the game when a free kick at the top of the box was placed in the upper corner to tie the match 2-2. In the final minutes of the game a free kick from 35 yards out taken again by Hunter Gilliams knuckled and found the back of the net to lead the Demize to a 3-2 victory and a spot in the semi finals which was just an nintey minutes removed from the quater finals. Coach Hanlon stated, " This match showcased some of the best football i have seen at this level, to come out with both the metal and physicall intensity it took to match the Irish lads showed that the Demize academy develops players that can compete at the the highest level both domestically and internationally, its been over a decade since we have beaten Ide Nua with the Total Demize Scorpions and our the first generation of Demize players like Bradely Stillawagon (SBU) Mitch Waiters (Drury) and Kaleb Romero (SBU) that helped to first put our academy on the map here in Southwest Missouri. The amazing piece of the puzzle was we had four injured players, half our bench from the Saturdays matches that could not play in Sundays games. 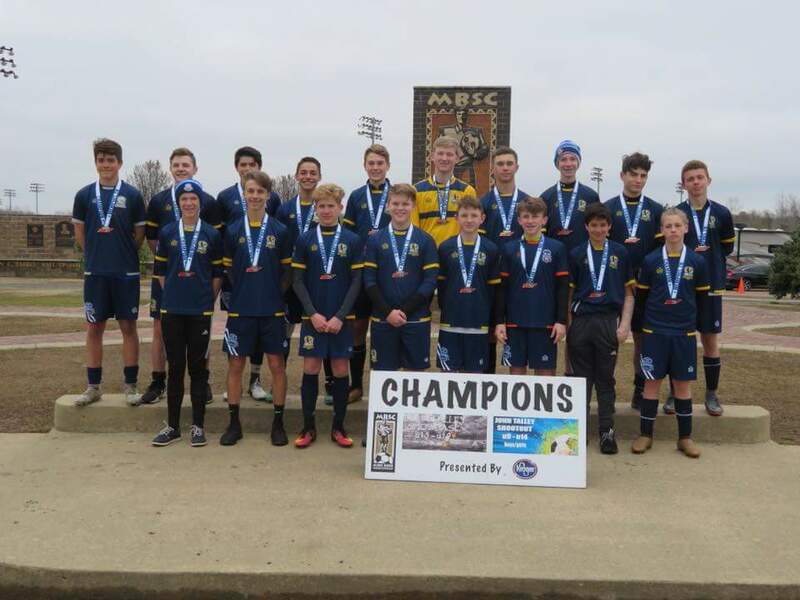 I could not have been any prouder to watch players from joplin, springfeild and the rest of southwest Missouri come together and make some history while showcasing what the Demize Academy soccer program is all about. " The semis would see the Demize face off against a fresh Missouri Rush team and after a scoreless draw it would take sudden death penalty kicks before Reece Vogal stepped up to score the game winner. The championship match would be a rematch against Portsmouth and inspite of the 1-0 halftime scoreline the Demize high school boys would be playing there 3rd game in less than 5 hours and Portsmouth potent offense was too much for the Demize to handle in the second half. The game would end 4-0 and Portsmouth FC would claim the championship trophy.